I love sitting down to dinner with my family. It’s a great way to reconnect at the end of the day. In a perfect world, preparing dinner would be a lovely event to end the day. In reality, sometimes getting dinner on the table at a reasonable time is tough. That’s why I love having a few make-ahead meals in our freezers. They make it easy to get something to the table in very little time. 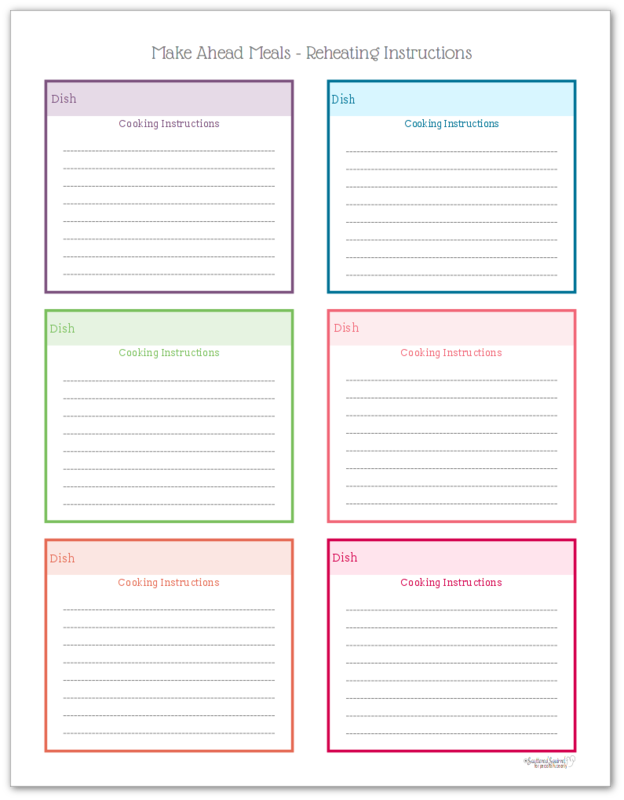 I love them so much I have make-ahead meal planning printables that I keep in my home management binder. My version of make-ahead meals is really more like making double batches of what we’re having for dinner one night and freezing the extra for use later. Through trial and error I’ve found which of our family’s favourite meals are freezer friendly and which are not. I keep a list of the ones that are ok to freeze on my Make-Ahead Meals and Mixes List. 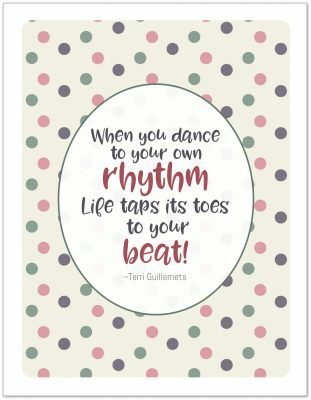 This next printable is a new addition to my collection. I’m horrible at remembering things sometimes and trying to remember all the reheating instructions, or how much of the mixes to use, was becoming a little troublesome. 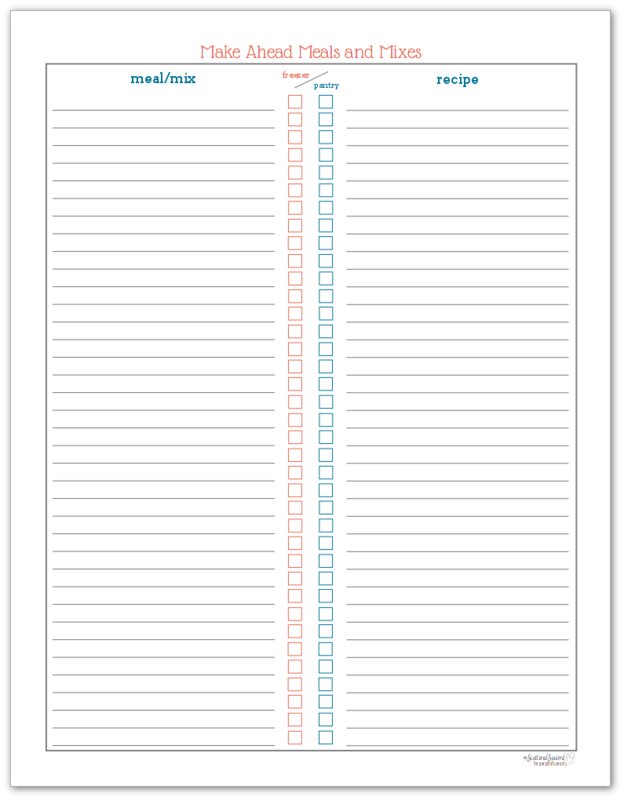 To help cut down on how many times I had to go pull out the recipes to look it up, I created some printable instructions cards. Simply fill these out with the name of the recipe and the instructions for how to cook, reheat, or use it. I recommend printing these on card stock or laminating them once you’ve cut them out. For mine I hole punched the top left corner and put them on a binder ring. They live on the side of my fridge for easy reference when I need them. 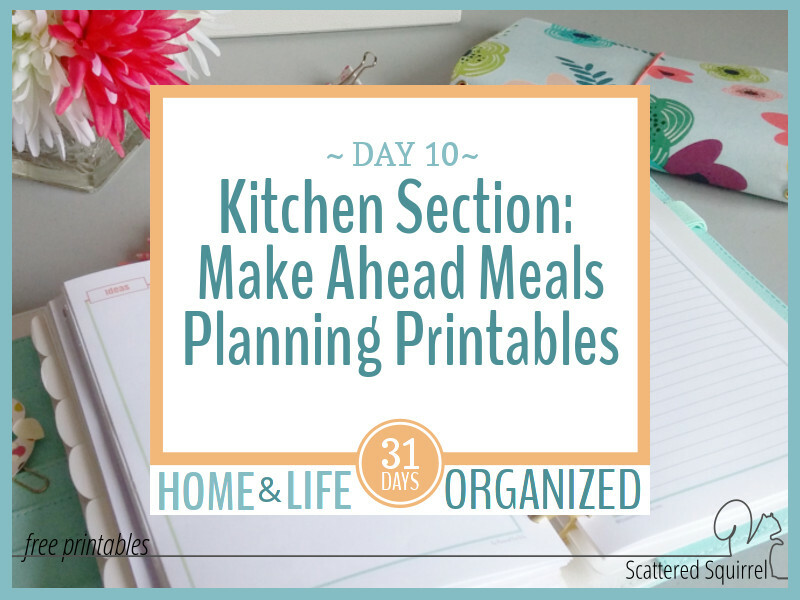 Together these printables round out the kitchen and meal planning section of my home management binder. While this is what works well for me, I understand that it won’t work well for everyone, so I would love to hear what other things you need or want in this section. Drop me a line in the comments below to let me know. My plans to do two live Q&A videos didn’t pan out so well. Technical difficulties have taken more of my time than I would like, and there were no questions posted on the Facebook post, which is totally fine. So instead of just a Q&A what I think I’ll do is a Live Walk-Through of how I set up my home management book, and I can answer any questions that pop up at that time? What do you think? Drop me a line in the comments below. Before the end of 2016, I want to dedicate a whole week (5 posts) to your requests for printables. So I would love to know if there are any home management or planner printables you’d love to see shared on Scattered Squirrel. So drop me a line in the comments below and let me know. 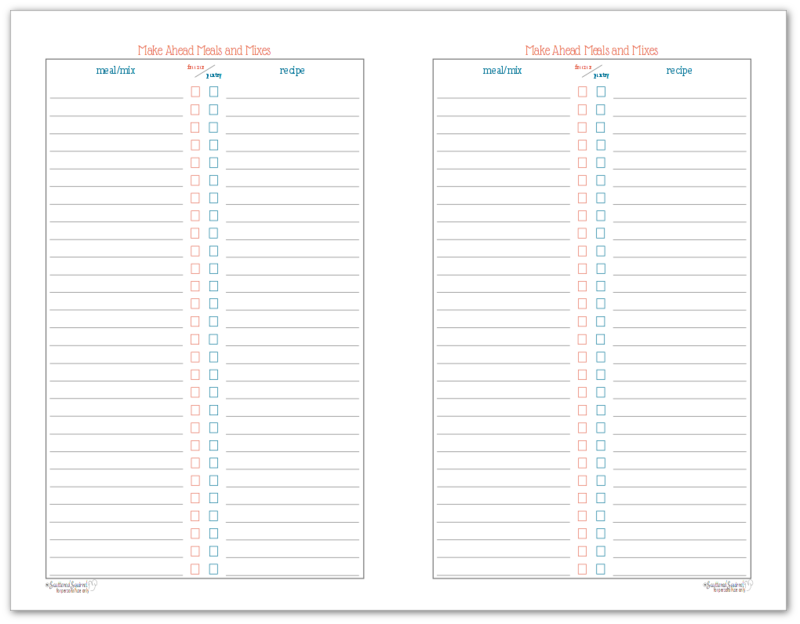 Not all requested printables will be made, but I will do my best to ty to accommodate them all. Dated calendars are not part of this. They take a lot of time to create and I know that I don’t have the time to make more of them.